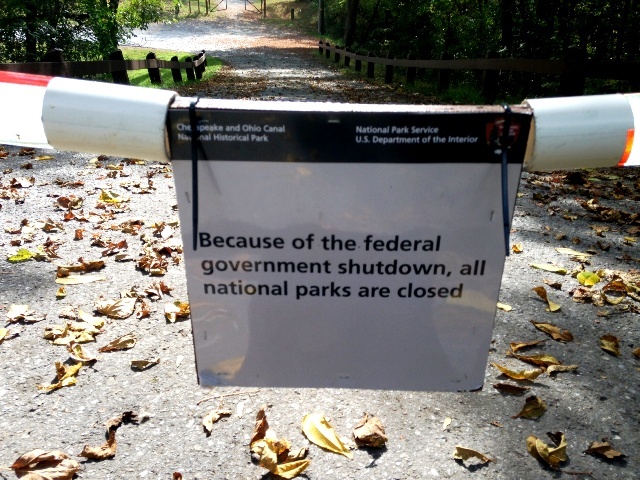 For the second week, the federal government shutdown is forcing relocations and and cancellations for races planned for National Parks Service property. No specifics have been made public about contingency planning for the Army Ten-Miler and Marine Corps Marathon, scheduled for Oct. 20 and 27, but both races declare they will be run on those days. The Boo! Run For Life 10k Sunday will be cut to a 5k, starting at 7:30 a.m. and moved to the National Building Museum from its usual location in West Potomac Park, where it will be run concurrently with the Run to Remember. “There is absolutely nothing we can do to extend the length of the course or to give runners the option of running the course twice,” race director Brian O’Neill wrote on the race’s website. The Mount Vernon Trail Race, originally planned for Fort Hunt Park, will move to Mount Vernon District Park and remain on Saturday morning. The Stokes School 5k, scheduled for West Potomac Park on Saturday, has been cancelled. The fate of the Monster Mask 5k, scheduled for Sunday on the C&O Canal Towpath, had yet to be determined Friday, according to race director Elizabeth McClure, who is waiting on word from the National Parks Service. In Shepardstown, W.V., the Freedom’s Run Marathon, Half Marathon, 5k and 10k will all be rerouted. The race courses used portions of the C&O Canal Towpath and the Antietam National Battlefield in Maryland. As long as the federal government remains closed, special events permits previously granted for races on NPS land are rescinded. Last week, the Woodrow Wilson Bridge Half Marathon (run on eight miles of the George Washington Memorial Parkway) was postponed until Nov. 10 and the Run! Geek! Run! 8k (West Potomac Park and East Potomac Park) was tentatively postponed until Nov. 16. The D.C. Running Club’s Take a Sick Day and Run a 5k (Capital Crescent Trail) was cancelled and the Ragnar Relay, whch used portions of the C&O Canal Towpath, rerouted.